Patients arriving at A&E maybe in pain, confused or under stress. It is important that they are able to quickly locate the reception area. It is quite likely that once checked in, they are asked to wait before moving onto the next stage of their treatment. 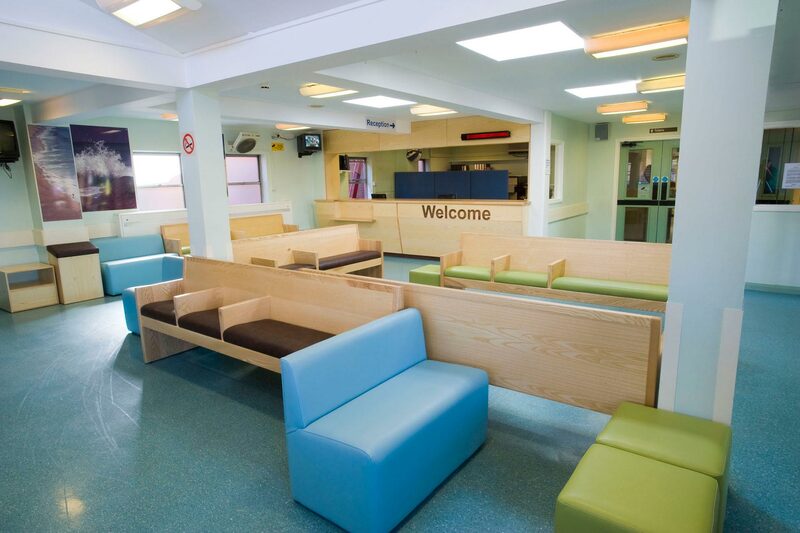 In this time, the waiting room environment can hinder their ability feel calm with poor layout, uncomfortable furniture and a feeling of being neglected or forgotten about. 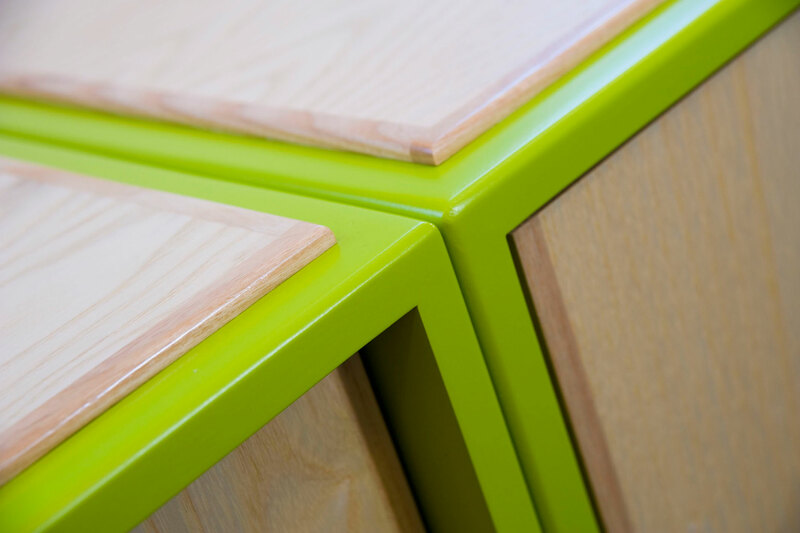 When frustrations boil over into aggression, loose furniture and fittings can become weapons and staff need to feel secure and protected without conveying a counterproductive ‘us and them’ environment. 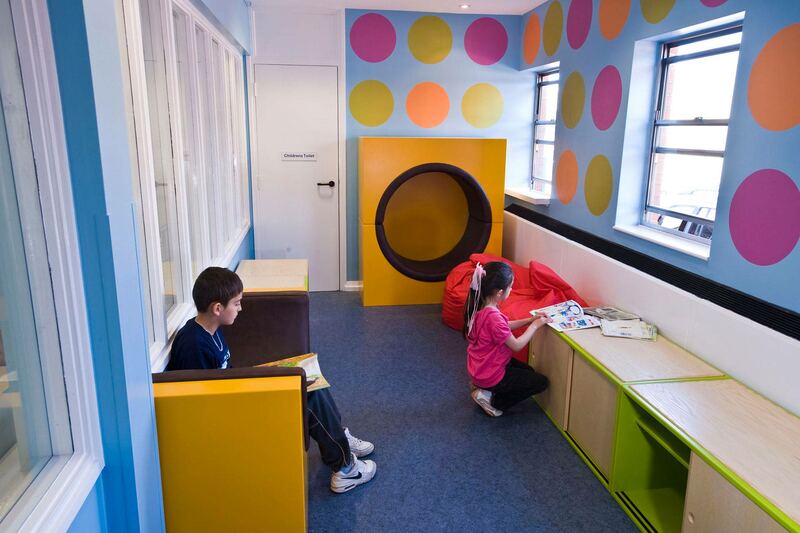 Where children are also using the A&E waiting room, it may not be appropriate for them to be located closely to adults who are very distressed or intoxicated – and noisy, exuberant children may not be welcome by someone who is very unwell. Finally, the waiting room needs to adhere to all the clinical and infection control standards expected. 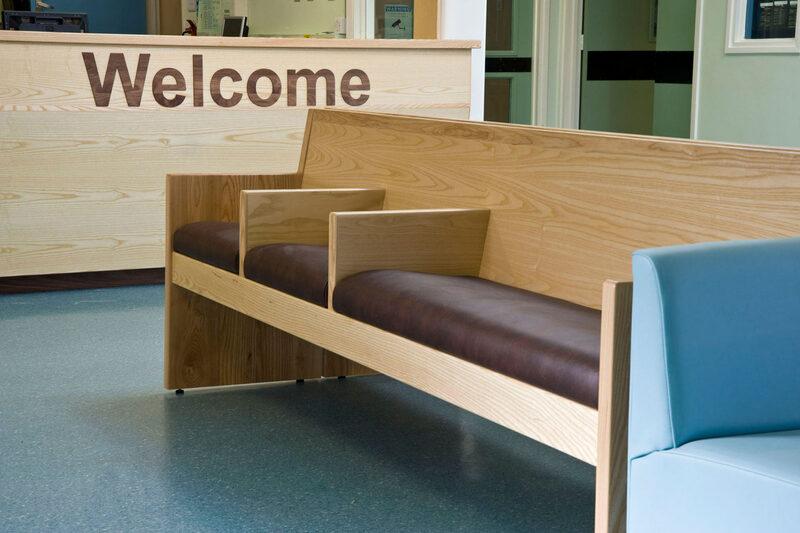 We worked with frontline staff and clinicians at Frenchay Hospital to understand where they felt the A&E waiting environment was causing difficulty for them operationally. 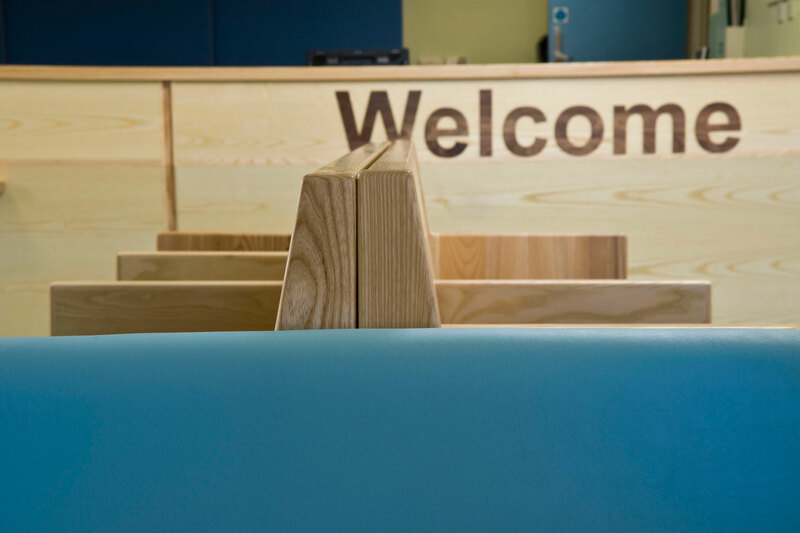 Firstly, we designed the reception desk to give it an open aspect and clear line of sight across the waiting room, but also placing it at a height and with an angled front that provided security for staff. 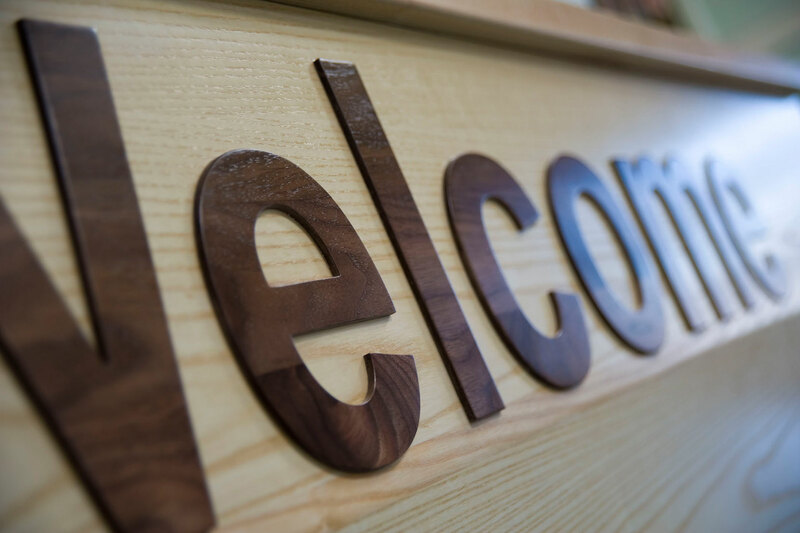 Placing the word ‘Welcome’ into the desk works immediately as a wayfinding sign, but is a constant reminder to patients and visitors that they are welcome to return to the desk to ask for help, hopefully diffusing frustrations early on. 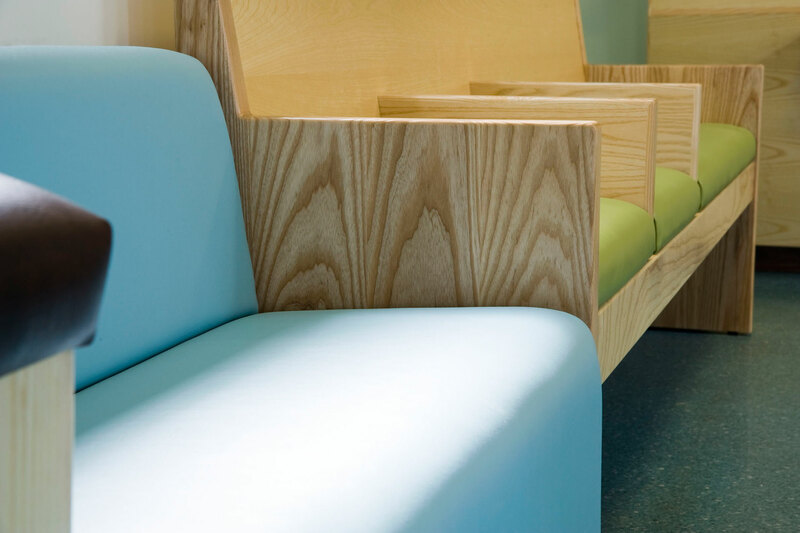 We used pale ash timber for the furniture, with infection control fabrics for the seating in natural pastel colours. Together with nature scenes on the wall, this leads to a gentle and calming environment. 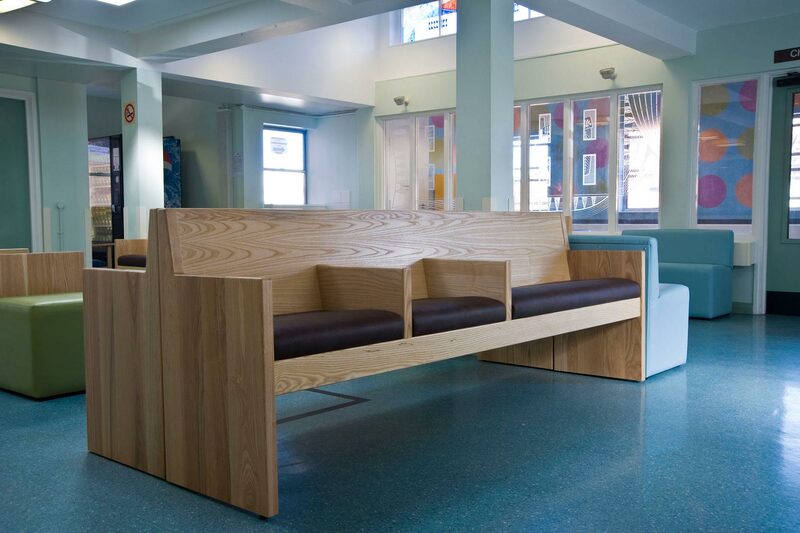 The ash seating is large and heavy, so cannot be relocated or lifted by patients, and is laid out in informal groupings to offer a choice of interaction and support. 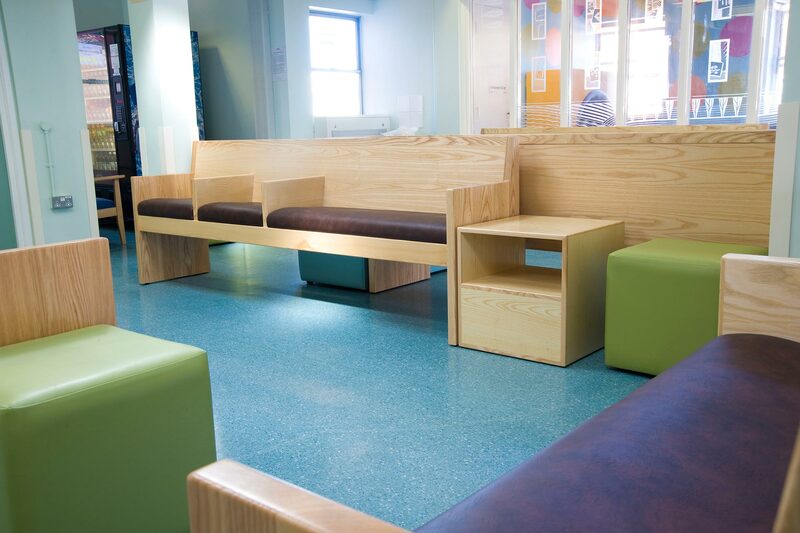 The backs of the seats remain low enough that the reception desk have a clear line of sight throughout the waiting room, reminding patients that they haven’t been overlooked and enabling staff to intervene quickly if a disruption occurs. 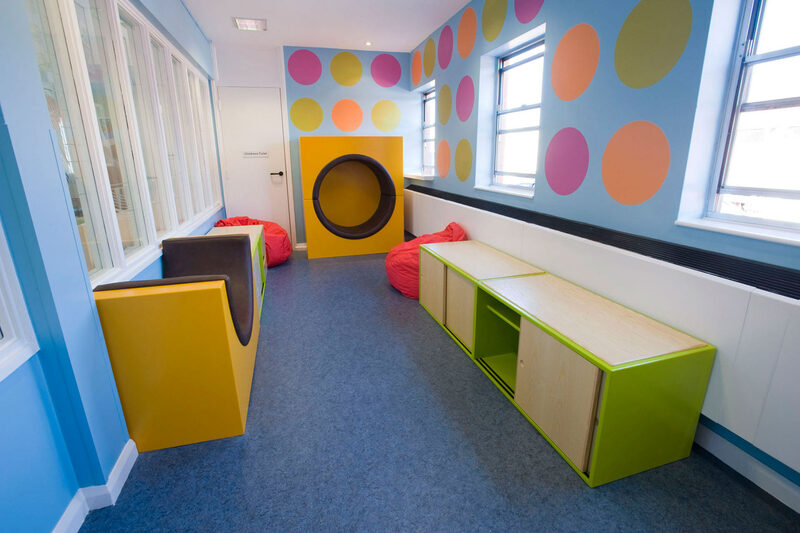 The children’s waiting room is separated from the main waiting room. 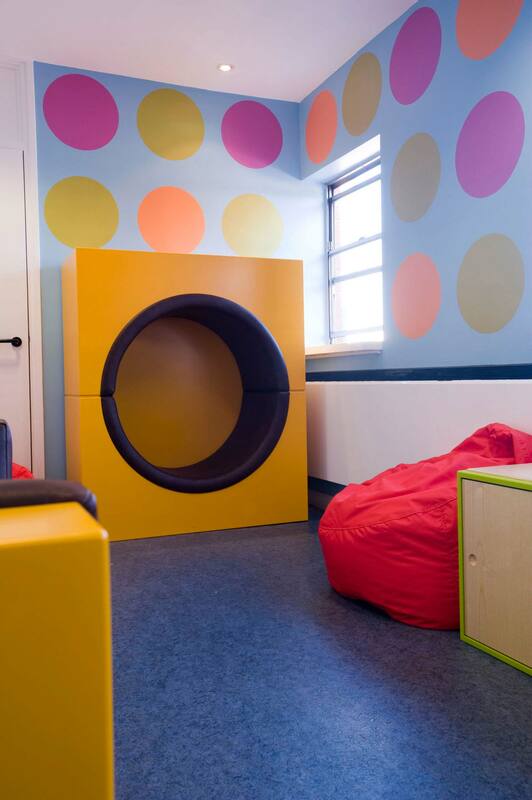 It gives children a place to let off steam in a brighter distracting environment, with unusual seating, including bean bags, and a place to store toys and books.